She rode into town on a donkey. Mary, with Joseph by her side. Following her were 50 or so children and parents, reenacting the Biblical story of Mary and Joseph's search for a place to stay. It is a Mexican tradition. From December 16 through Christmas Eve, the village children meet at the church, then they go door to door along a pre-determined route, knocking and being turned away. When finally they reach the right location, there is singing, they are invited in and they find a party, or the simple handing out of holiday bags of candies and fruits. 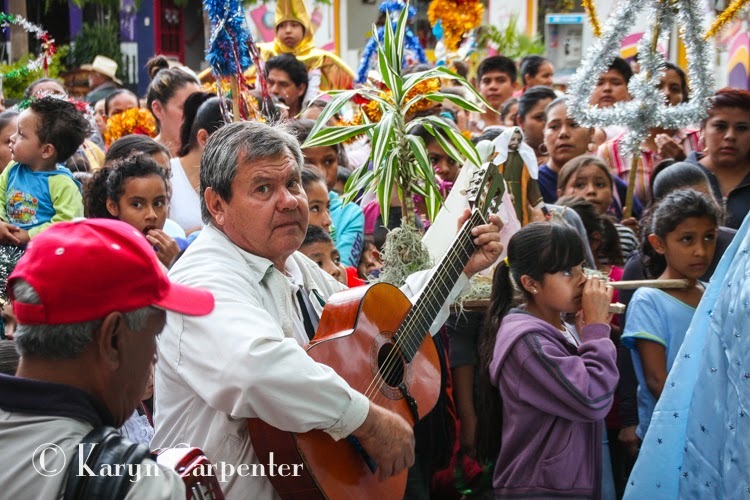 As I watched the Posada one evening, I noticed in the back of the group, a small boy. Sitting atop his father's shoulders, he looked across the sea of children, and onto the activity taking place at the door. 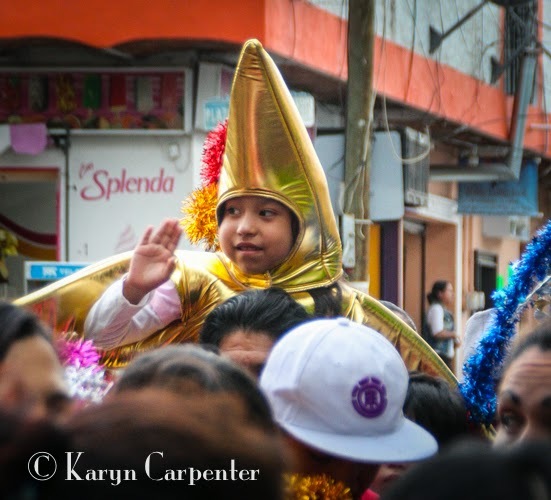 He was dressed in a funny outfit, all puffy of a gold fabric that glittered and shined. His face showed from the center of what looked like a gold banana with appendages. Then, it hit me. He wasn't in a banana suit. His face looked out from a big, stuffed gold star costume that was shining down on the activity below. He was the Star of Bethlehem.